We are having a very exciting promotion on the site this weekend whereby if you purchase a 5% share in any horse trained by Adrian Keatley and Jet Setting wins the 1000 Guineas on Sunday, we will give you £500 back on your share purchase. Jet Setting, the Adrian Keatley trained 3 year old is priced at 16/1 to win. The talented filly won the Guineas trial at Leopardstown. She will relish the ground and is sure to make it a proper test of stamina. We wish Adrian and her owners the very best of luck in the race. This offer is valid until midday Sunday. OnToAWinner are delighted to announce that we are expanding our operations into Ireland. 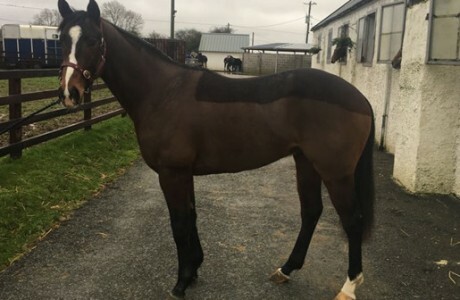 We’ve added three 2 year olds to our string who are trained by Adrian Keatley at his Curragh base. 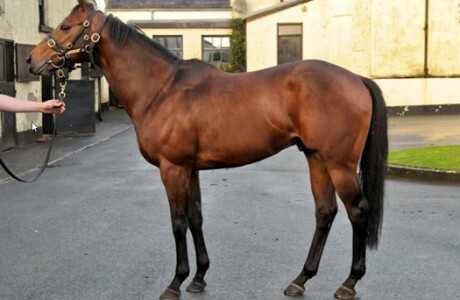 Cosy Club, a colt by So You Think was fourth on debut over 5 furlongs at The Curragh in March. He will likely need further than the minimum distance and is a very exciting prospect for the season ahead. He has a fantastic page and a big future. His profile will be on the site shortly. Niall is pictured with Yourartisonfire, and the fantastically astute Karl and Elaine Burke. Where does the passion for racing come from? My Dad brought us racing everywhere when we were growing up. I loved going racing. I was fascinated by the controlled power and beauty of the racehorse, aswell as the colours and characters that made racing. I compiled my own form books as a young boy in the days before the internet. The sport is fantastic, there’s no sport like it. Looking back it has always captured my imagination and still does. What is your best racing memory? You never forget your first winner. We’d waited awhile but eventually tasted success with Dilsaa at Nottingham on July 14th 2001. My dear friend and colleague Simon was there, it was a day that captured both of our imaginations and 120 winners later, and 15 years on we still reminisce about that day Ollie Pears rode the Kevin Ryan trained gelding to success for us. On the way home in the car from Colwick Park we thought we could take on the world, we were on such a high. 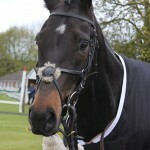 I’ve had brilliant days out with Fast Shot, Quiet Reflection, Toocoolforschool and many more. I have a deep bond with Quiet Times, who lives with me at home, as in many ways he was instrumental in attracting owners to me in the early days. Going to Dubai with him was amazing, I was so proud of what we’d achieved together. I struggle to switch off. I’m a workaholic. I’ll rest when I’ve past my last post. Who do you most admire in racing? I’ve had some phenomenal days with great friends in racing, and have made deep and lasting friendships. 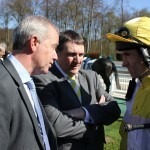 Aswell as Simon, I have a huge respect for many of the Ontoawinner Managers, Owners and Trainers. The team work so hard they deserve great days. I feel when people get you success or back you, you owe them, and I feel I owe many of the Ontoawinner owners a great deal. 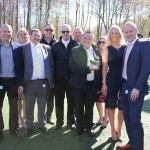 There’s a huge team spirit among the Owners and Trainers. My wife Sally is also very supportive and affords me the space and time required to give Ontoawinner the thought and respect it deserves. We owe Karl and Elaine Burke so much, they have propelled the Ontoawinner story forward ahead of time. Outside of the immediate Ontoawinner family, I do have a real respect for Peter Easterby, I think he’s a fantastic character, modest and very witty. I hang on his every word when I’m in his company. What horses are you most looking forward to seeing this season? Quiet Reflection is very exciting and I don’t think we’ve seen the best of her. I think London Protocol is an improver. I do like going racing with tough horses like Flying Pursuit and Sakhee’s Return because you know what you’ll get with them. For deeply personal reasons I’d love if Vaux won a race, and he has the ability to do so. Who is your dark horse for 2016? Tough question, we’ve bought so many good moving racey two year olds, we couldn’t have dreamed of being able to assemble such a string three years ago. Made of Honour is a big rangy filly who could be anything. I love Castle Hill Cassie’s page. I hope we have another black type filly in the ranks somewhere. What would be a good season? Our previous best season was 27 winners, which came in 2014. I’d love to top that and have another Group winner. Winners at the top level are so difficult to get hold of, they are precious when they come. We had a tremendous finish to last week when Quiet Reflection won the Group 3 Prix Sigy at Chantilly. She travelled home well and was understandably a little tired on Monday but has come out of the race well and we are currently planning her next outing with Royal Ascot the major target for the season with her. 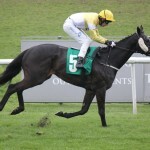 We had 5 runners this week and the action kicked off with Abi Scarlet who ran at Southwell on Tuesday in the Visit AtTheRaces.com Selling Stakes where Ben Curtis took the ride. Abi was drawn in stall 4 for the 7 runner event. Abi broke well and was in second position heading into the turn. Turning into the home straight, there were 4 in a line ready to battle out the finish. Abi came under pressure and ended up finishing in 4th position, another decent effort from the Scott Dixon trained 7 year old. Next up was Yeeoow who ran in the Class 2 Ben Burgess & Co Handicap at Newmarket with Harry Bentley aboard the Karl Burke trained gelding. Yeeoow’s form figures going into the race read 1-3-3-3, he has been running excellently recently, a credit to team Burke. Yeeoow broke well and held a good position on the near rail as they approached the half way mark. At the 2 furlong maker, Harry was asking Yeeoow for more and the horse responded in game fashion, he finished a game third and picked up some nice place money in a hot contest. He has run in 4 class 2 handicaps in his last 5 races and deserves to get his head in front soon. Well done to his owners. Our Charlie Brown made his racecourse debut on Wednesday. The Tim Easterby trained son of American Post turns 2 tomorrow so it was always going to be a big ask on debut, he showed signs of greenesss on his first day of school and David wasn’t hard on him, he will have learned a lot from this outing. Tim thinks he could be a nice horse for the future. Fast Shot made his seasonal debut on Thursday in the Class 4 PRP Foundation Handicap at Ripon where the ground was described as heavy. Fast Shot was drawn in stall 10 and Rachael Richardson was booked to ride. From the gates, Racheal brought Fast Shot to the near side and travelled in mid division in the first couple of furlongs, he made headway at the 2 marker but faded a little late on to finish in 6th position. It was a good effort from Fast Shot and he will come on a lot for the run. He will be hoping the ground stays on the soft side so he can land a win. 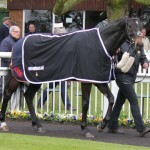 Last up was Toocoolforschool who ran in the EBFSTALLIONS conditions stakes at Thirsk on Saturday. The Kevin Ryan trained Kelinni was favourite and from the off was determined to make it a proper stamina test having had recent outing advantage over other runners in the race. Toocoolforschool with Dougie Costello on board sat just off the favourite in second place. As they turned for home, TCFS looked to be struggling and blew up around 2 furlongs from home. He will come on a ton for the run and we look forward to the season ahead with him. My trip to Chantilly started with a very early flight from Dublin to Paris Beauvais airport. An airport that you would usually curse Ryanair for being a good hour from Paris but it was perfect for this particular trip. As soon as I exit the terminal, I head straight for the rental car pickup spot, get my car and start the journey to Chantilly. The drive is about 45 minutes and it flies by as I pass lovely country side. It’s 10 a.m as I arrive into Chantilly and the town is not yet awake. It’s a charming town that likes to take it easy on a Sunday, the way it should be ! Arriving into the hotel, I bump into Jordan Vaughan who travelled over with Quiet Reflection, he informs me that she was bouncing when he went up earlier that morning , she’s in great form , all systems go. Soon after Karl arrives, followed by Niall, Simon and Sally, all arriving via different methods of transport, all hoping for the same outcome. We make our way to the track and Karl’s shows us around, it’s stunning . The view from the grandstand is beautiful, a magnificent building overlooks the back straight and the course looks superb. We make our way to the owners bar where we are joined by a group of our owners, everyone needs a beer to settle the nerves. We are race 5 on the card, a 4:15 start local time. 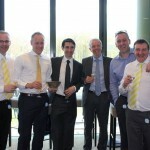 We have a bit of lunch and some of us have token bets on horses based on colours, breeding and no form. Some have luck, most don’t but it’s a nice way to pass the time. As the jocks head out for race 4, we all head down to the pre-parade ring to check on Quiet Reflection, she’s a pro, she’s strolling around with a swagger, completely relaxed, unlike many of us for whom the nerves are in full throttle, it’s near, it’s very near. We make our way to the parade ring, Karl gives Dougie his final instructions and they are gone, off to the start. We all head up to the grandstand and wait, it’s a long few minutes. The sprint races at Chantilly finish about 2 furlongs further up the straight from the grandstand. It’s unusual in that over a 6 furlong race, there is still nearly 2 furlongs to travel by the time they pass you. Quiet reflection breaks smartly, we are looking on the big screen at this point, glancing down the track to get an idea of how far they are away. As they approach, Quiet Reflection is running all over the horses in front, as she passed us Dougie is about to take it up, she’s winning, she has to be. She goes about 2 clear on the current camera angle and we think she’s won, then the camera switches, there’s another half a furlong to go and one is gaining ground, heart in mouth stuff but she does it, she wins, she’s a star. Hugs and kisses flow and there is sheer delight upon everyone’s faces. It’s a magical feeling for her owners. A group winner in 2 countries, a group win on her first 3 year old start, a winner of 4 from 5 starts, a horse of a lifetime shared with a fantastic bunch of people. We head to the winners enclosure. Karl, Simon and Niall all being grabbed by media personnel. Quiet Reflection is the coolest in the ring, we all give her a nice pat and get a few photos, the trophy is presented and we head to the owners area for some champagne. We are joined by Karl, Dougie and Jordan who all must take huge credit for the win. We talk for the next few hours about the race, general racing talk, the group are buzzing. As racing comes to an end, we all go our separate ways. After a long, adrenalin filled day, an early night beckons, dreaming of the next chapter. I sit in Paris Beauvais airport waiting for a flight home, flight is delayed for an hour but today it’s not a problem, no problem at all . I didn’t start riding till the age of 13. This was the age where I found out what hard work is. Every Saturday I went to Barnston Riding Centre at 6am in the morning till 8pm just to get 1 hour free ride. But I absolutely loved it and it led me to a career in racing. At the age of 16 I attended the British Racing School down in Newmarket after seeing advertised in the Internet. And since then… I have never looked back and I still love it today. What was the first yard you worked at? 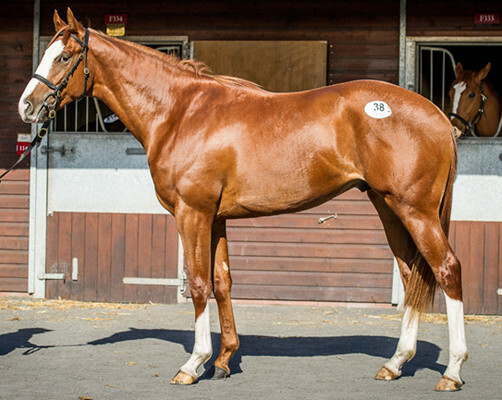 After leaving the British Racing School, I continued to stay on in Newmarket for a good trainer called Marco Botti. This where I would say I learnt most of working and riding out in racing. I stayed there for 2 years and I managed to get my apprentice licence out for him but sadly didn’t get a ride off him. So moved on to George Margarson also in Newmarket where he allowed me to race ride. After 2 years of being there, the rides dried up so I moved to my current trainer Karl Burke. This was the best choice I have ever made. He has given me plenty of chances and I am very confident that I will continue working at Karl’s until I (hopefully) lose my claim. What is a typical day like for you in a racing yard? A typical day for me in a racing yard is getting myself up out of bed and being in the yard for 7am, ready for first lot at 7.15 am. We will ride 4 lots of horses out and each lot is around about an hour long. We generally finish about 1 pm. If I’m not racing, we will then return to the yard again from 4pm till 6pm. In this time we will look after our horses we attend to, which is usually 5. We will skip them out, hay and water them and groom them. 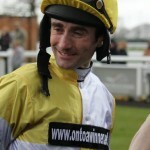 The jockey that most inspired me has got to be George Baker. Not only do I like his style of riding. He is very approachable for advice and for a very tall lad he has managed his weight very well. What is the best horse you have ridden? I would like to say Excelebration when I was at Marco Botti’s. But I only trotted him once. I would say now it would after be Quiet Reflection which I ride out most mornings. I’ve picked her because I think she hasn’t showed her full potential yet. I think there is plenty left to come from her. What has been your favourite horse? Again this would after be Quiet Reflection along with her being the best horse I have ever ridden, she is also my favourite. I have a very good relationship with this lovely fully and not only I ride her, I look after her. She’s such a sweet filly to handle and look after. A true professional. My ambition in racing is to make it as a top jockey. Not just to lose my claim, but hopefully I will be able to continue getting plenty of rides to look after myself after losing my claim and hopefully take on a nice retaining job for a decent trainer. That’s is probably the biggest worry for a jockey after losing their claim. It’s tough for the lads once we can’t take some weight of. What has been your most memorable day in racing? My most memorable day (not for a good reason) has to be breaking my leg at York racecourse. 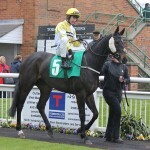 Putting that aside, my most memorable day has got to be my first ride for Karl Burke on Little lady Katie. She is one of my biggest winners so far. I love to relax and recharge my batteries. I think this is very important for jockeys because of the amount of miles they cover on the road and the times they get up very early in the morning to ride out for other trainers so you can pick up more spare rides. What advice would you give to any young person thinking about getting involved in racing? The advice I would give the young people would be, it’s hard work being in racing but if you want something so much or want to reach a goal so much, you have to push yourself hard. It doesn’t matter how tired you get and the amount of down days you have, you have to keep pushing yourself because the good days will soon come along! Weekend Update – The flat is back! The flat season officially kicked off this week and it was fantastic to have it back. OnToAWinner will have plenty of runners every week this season and we look forward to the months ahead. We have our strongest string to date with plenty of exciting 2 year olds to add to the mix, we can’t wait to see them in action. We were due to have 2 runners yesterday but unfortunately Youartisonfire was found to have a swollen joint on Saturday morning and was withdrawn from the Spring Mile at Doncaster. Its nothing too serious but he couldn’t be risked yesterday. 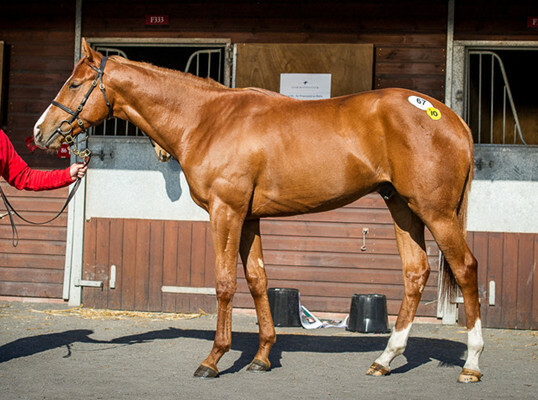 Yeeoow had an excellent performance at Kempton last week when he finished 3rd in a Class 2 event over 6 furlongs. He was back at the same track this week with Joey Haynes once again taking the mount. Yeeoow broke smartly and held a prominent position in the early stages of the race, he was a length down in 2nd position turning into the home straight. Joey asked for more and kicked for home at the 2 marker and Yeeoow battled on gamely but lost second place late on to finish a gallant 3rd. It was another excellent effort from Yeeoow who is in top form right now, hopefully he can get the win that he deserves soon. We will have our first 2 year old runner of the year this week as Baie D’amour has been declared to run on Wednesday at Chantilly. This beautiful looking daughter of Never On Sunday is the only UK entrant in the 9 runner event. 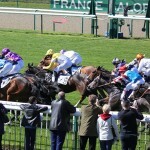 There is some rain forecast for Chantilly, hopefully it’s not too soft and we can take our chance. Dougie Costello is provisionally booked to ride. All being well, we will be back at the same track on Sunday to watch Quiet Reflection contest the Group 3 Prix Sigy over 6 furlongs. Quiet Reflection won 3 of her 4 starts last year culminating in an impressive win in the Group 3 Dubai Cornwallis at Newmarket. The step up from 5 to 6 furlongs should be ok and we look forward to watching her make her seasonal debut. Again, we will be keeping an eye on the forecast and hope that it doesn’t get too soft and she can take her chance where Dougie Costello is due to ride. 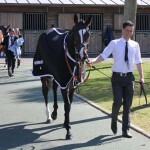 Best of luck to all of our owners making the trip to France this week to watch Baie D’amour and Quiet Reflection run. 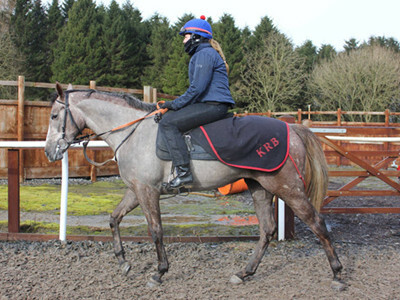 Flying Pursuit and Little Lady Katie also make their first starts of the season this week, best of luck to their owners. The flat is back!